Edward Bradley and his brother Alva were the sons of Henry Bradley, a lumberman who helped turn Bay City, Michigan, into a lumber center. Henry Bradley was heavily involved with the development of Bay City’s Methodist church and school system. When the Bradley Mill went bust in 1877, he became a timber cruiser and iron ore speculator in northern Minnesota. 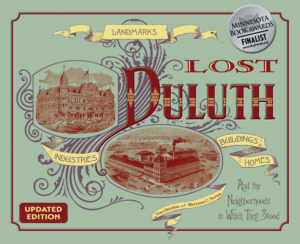 By 1880 he had teamed up with Heber H. Hanford to form the Bradley-Hanford Lumber Company, and two years later Edward and Alva moved to Duluth to operate the firm (Henry himself retired from the firm in 1883 and didn’t move to Duluth until 1890; besides lumber, Henry’s investments in the Vermillion Iron Range’s Chandler Mine had made him wealthy). Edward resigned from Bradley-Hanford in 1888 and worked by himself until 1898, when he organized the Duluth Log Company. All three Bradleys contributed heavily to the construction of Duluth’s 1893 First Methodist Church. 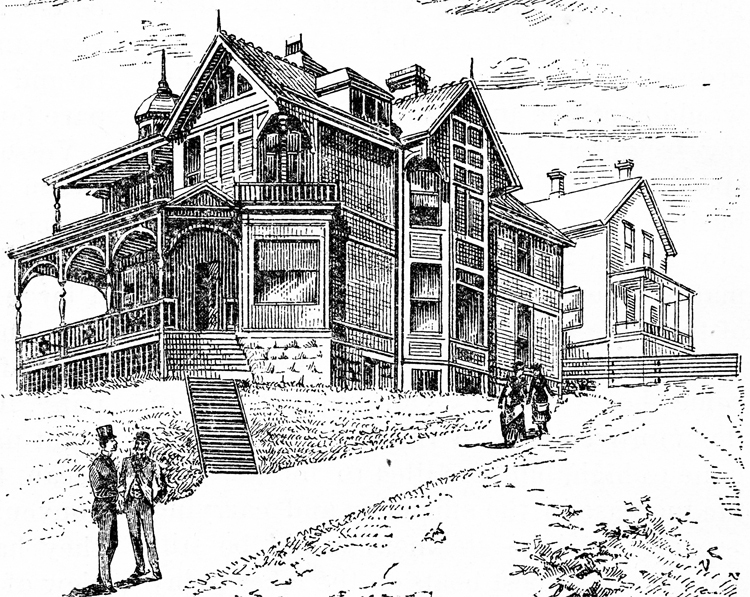 The Bradley House was a two-and-a-half story Queen Anne with a tower and verandas. It was demolished in 1971 to make room for an apartment complex.